Leonard Pennario moved from Buffalo to Los Angeles and so have I.
I have moved from the Buffalo Athletic Club to L.A. Fitness! L.A. Fitness bought the BAC a few weeks ago and you had to make up your mind between the BAC For Women and L.A. Fitness. I love some of my BAC teachers but L.A. Fitness made more geographical sense. There is one downtown near where I work and there is another one near where I live. The other day I drove past the one where I live and I could not believe it. It looked like the Taj Mahal! It was huge. I went in. There was a big swimming pool with nobody swimming in it, a lifeguard sitting there bored. I am going to have to start bringing my swimsuit. There is also a hot tub. There was an assortment of people of various ages and shapes and ethnicities lounging around together in it. I said to Howard when I got home: "I can't wait to get in that hot tub. That will feel good after a workout!" There was a silence and then Howard said, "Somehow a hot tub with strangers doesn't quite appeal to me." "Well, it appeals to me," I said. "I am going to bring my bathing suit." Let us not say "swimsuit" when we could say "bathing suit." I must remember that. 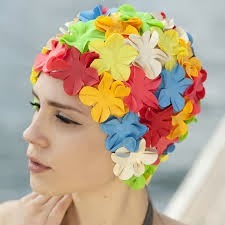 A bathing cap might be a good idea too. Anyway. I have done Zumba every day this week and I will continue to do so. It puts you in good mental shape so you sleep well and can get up early and work on important projects such as a certain book about a certain great pianist. Plus it is just fun. And it is fun to go to this spanking new gym.